TFT Color LCD，high resolution of 480 x 270 and design of wider screen in proportion of 16:9. Touch screen and soft keyboard control, more convenient for operation. AC filter, baseline filter and EMG filter of the ECG signals. Provide more than 10 printing modes. More than 1000 cases in internal memory. 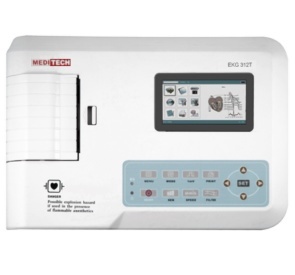 Can print 90 minutes and print out 150 pcs ECG continually.